Note: This article was first published on 23rd May 2018. 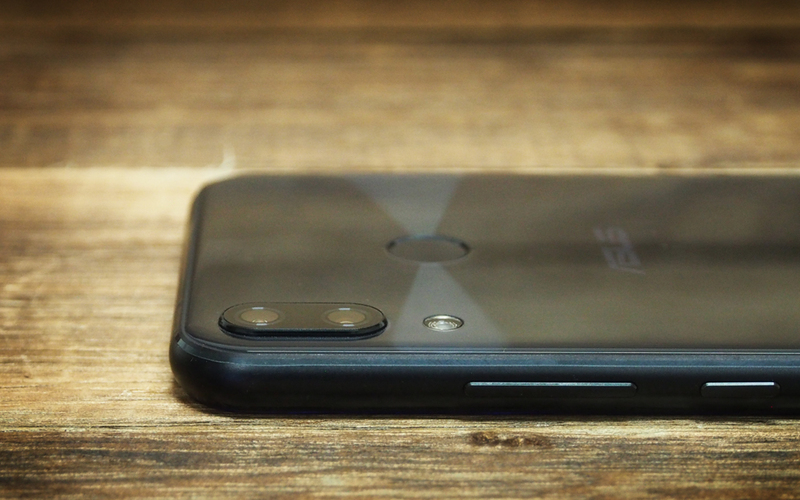 The ASUS ZenFone 4 may have only been released a mere six months ago, but ASUS is already back with a new ZenFone, and, at S$488, it's thankfully much cheaper than its predecessor. The ZenFone 5 returns the ZenFone brand to its roots, and offers a premium design and mid-range performance all in a very affordable package. Oh, and it also looks almost exactly like an iPhone X. 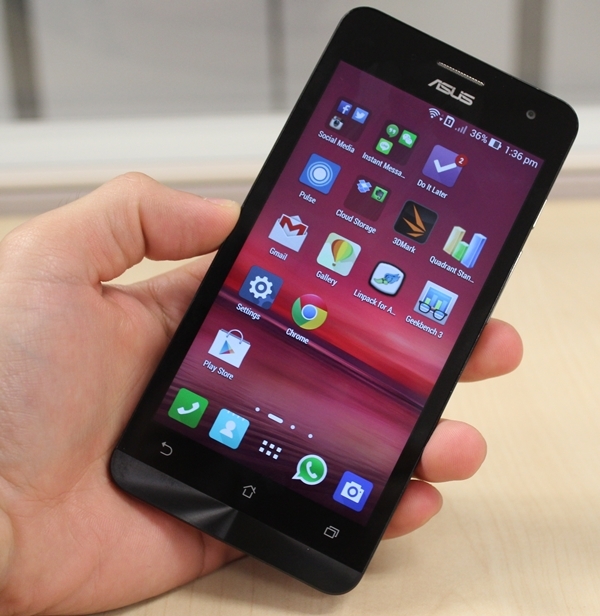 This ZenFone 5 came out in 2014 as part of the first wave of ZenFones - the 5 referred to the size of the display. If you're buying a ZenFone 5 on Carousell or HardwareZone's Marketplace or some other non-authorized source, make sure you're getting the 2018 version. To answer that, here's our quick unboxing video! Haven't I seen you before somewhere? Notches are the hottest design trend of 2018 with everyone from Oppo to LG getting in on the action. 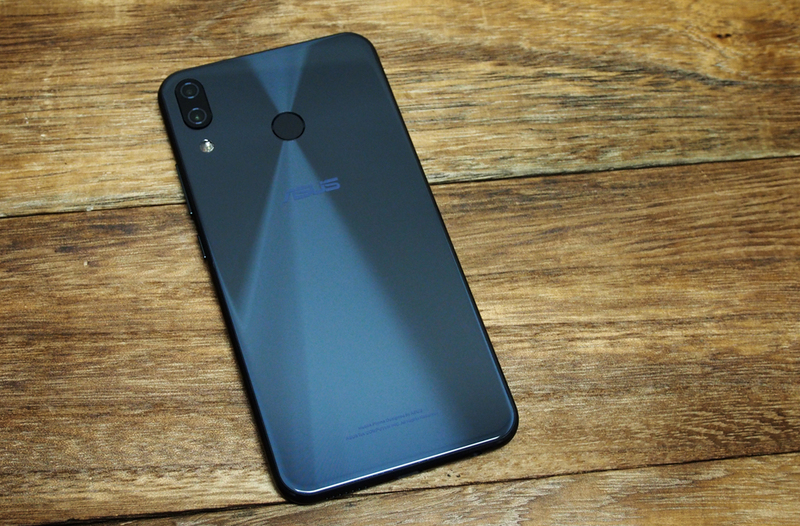 It's a trend that probably won't be going away anytime soon either, with Google recently announcing notch support for Android P.
ASUS was one of the first brands to jump on the bandwagon, when it revealed the ZenFone 5 at MWC 2018 earlier this year. 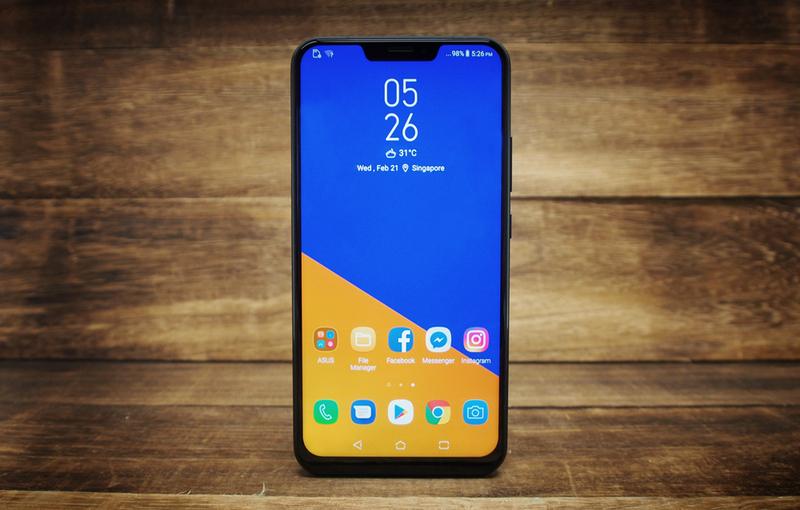 But the ZenFone 5 borrows more from the iPhone X than just its notch, it also has rounded display corners, and a vertically-orientated dual camera setup, and the end result is a phone that could easily be mistaken for Apple's flagship. However, there are a few giveaways that will help you spot a ZenFone 5 in the wild. The phone's aluminum frame has chamfered bevels (another trend originally started by Apple - although it's long since abandoned them), and there's a circular fingerprint scanner on the back of the device. 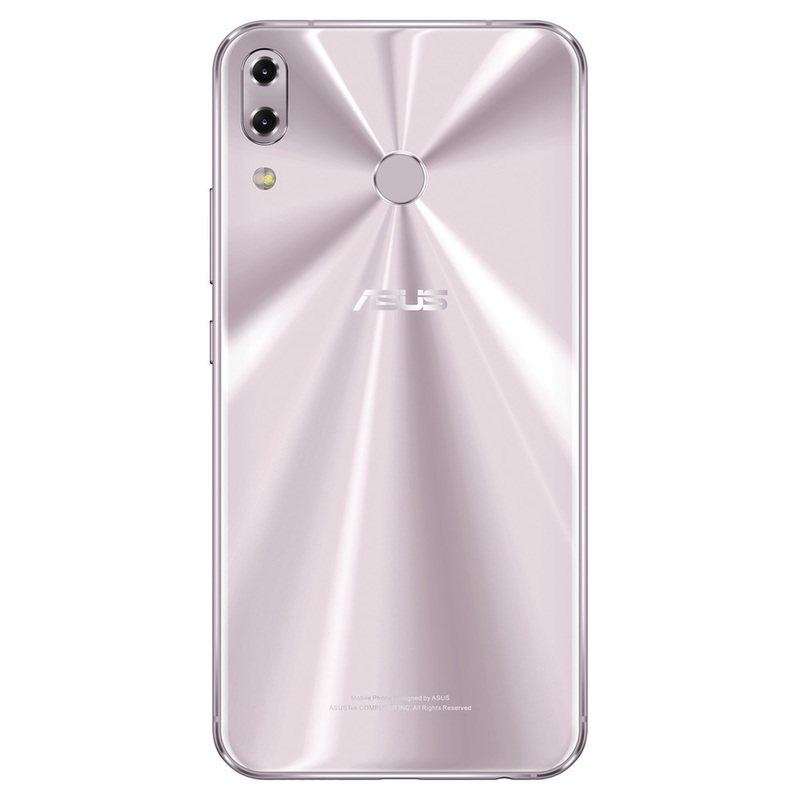 The rear of the phone also sports ASUS's signature concentric circle design. Like the iPhone X, the dual rear camera setup sits in the top left corner. On the ZenFone 5, you get a 12-megapixel f/1.8 24mm lens paired with an 8-megapixel f/2.0 wide-angle lens. There's a small camera bump, but it isn't too bad. 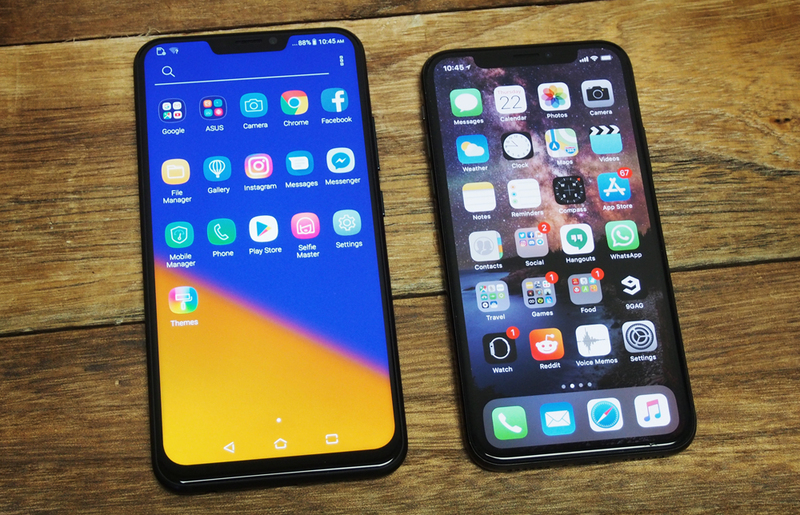 Size-wise, the ZenFone 5 with its 6.2-inch screen is slightly larger than the iPhone X, and is actually about the same size as ASUS's previous 5.5-inch ZenFones. It measures 153 x 75.7 x 7.9mm and weighs just 155g, which is quite light for a phone this size. For comparison, the smaller iPhone X weighs 174g. The right side of the phone houses both the power button and the volume rocker, while the nano-SIM card tray and microSD card slot can be found on the left side. 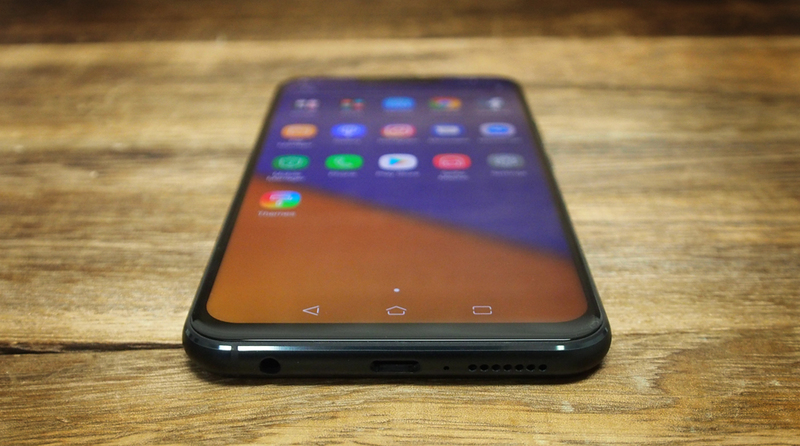 On the bottom, you'll find a downward firing speaker grille, a USB Type-C port and another dead giveaway that this isn't an iPhone X: a 3.5mm headphone jack. There's also a small microphone down here. 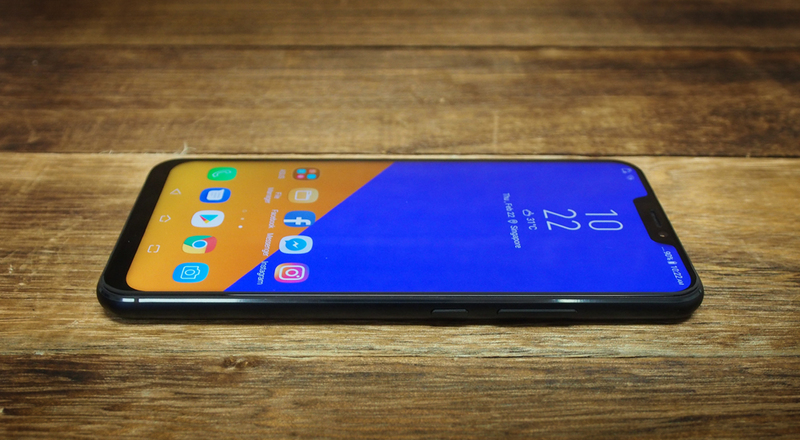 Overall, despite its obvious "inspiration", the ZenFone 5 still looks great, and both looks and feels a lot more premium than its S$488 price tag would suggest. It's definitely the nicest looking phone ASUS has ever made. The only thing that would make it better is some form of dust and water resistance. The ZenFone 5 has a 6.2-inch IPD LCD display with an 18.7:9 aspect ratio and a 2,246 x 1,080 pixels resolution (~402ppi). The display is bright with reasonably good contrast for an LCD screen, although it obviously pales in comparison to an OLED display. The display has support for the wide-gamut DCI-P3 color space and is fairly neutral and color accurate by default. However, it does not support HDR videos like many flagship phones. As Android 8.0 does not offer notch support (something that will change in Android 9.0), quite a few apps will display with content hidden behind the notch. At launch, there was no way to disable the notch, but the most recent ZenUI update has added an option to do so. 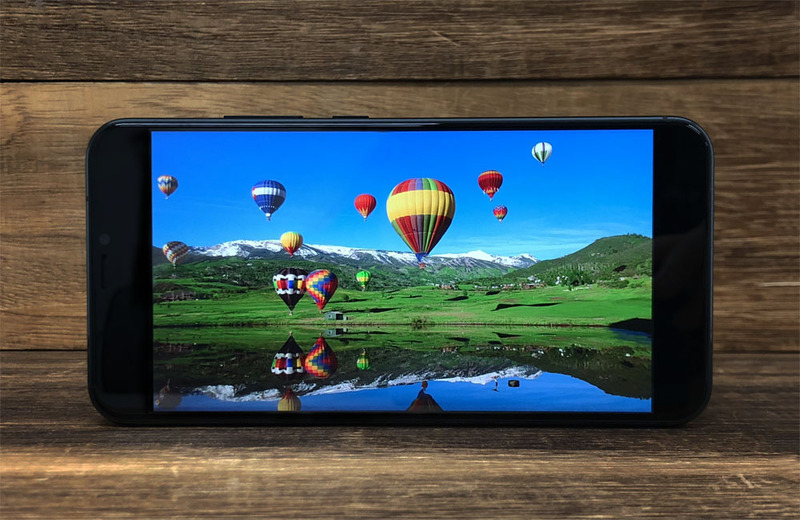 The phone has an "AI Display" feature, which automatically adjusts the brightness, temperature, and color of the screen depending on your lighting as well as the content that you are currently viewing or watching. There really isn't any "AI" at work here (it just uses the ambient light sensor) and the feature is basically the same as Apple's TrueTone display, generally making the display a little warmer, and easier on the eyes. Audio on the ZenFone 5 comes from a single downward-firing speaker. Despite the modest setup, audio on the phone is surprisingly loud and clear. It doesn't have much in the way of bass or high-end, but it's good enough for when you can't be bothered to plug in your headphones.